Home » News » Spring 2019 Registration Now Open! Metro Soccer NY is happy to announce that our Spring leagues are now open for registration! All leagues will begin in March. Check the individual pages below for more information about the each division. Our Spring leagues always sell out so please register quickly to avoid disappointment! 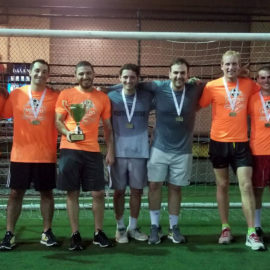 Metro Soccer is NYC’s leading adult and junior recreational soccer program. A portion of your league dues goes to support Play Study Win, and other worthy 501c3 charities.